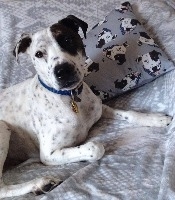 Welcome to ZukieStyle where you will find fashionable handmade pet accessories and stylish homewares for yourself. 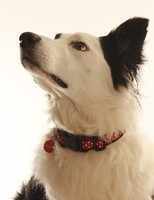 or call us on 0773 439 3823.
bespoke, handmade, fashionable pet accessories and homewares. All products are made from the best quality fabrics and fully lined. Leather products are made from genuine European hide. As the majority of my products are handmade by myself at my studio in Lincoln, Lincolnshire, UK please be advised that your order may take up to 15 working days to be created, unless otherwise stated. Please support British design and buy handmade. I pride myself in working with fellow small businesses as much as possible, your purchase helps to keep our economy growing and companies such as myself live their dream. Overseas? We also ship worldwide but you can also visit my Etsy Store if you prefer. Do you own a fashion boutique, groomers or pet shop? For wholesale enquiries please email us for more information on stocking Zukiestyle products.